YouTube is currently the most popular video-sharing network. It allows audiences to watch, share, and upload videos when their device has an Internet connection. To watch YouTube videos on your phone, installing the YouTube app is necessary. With the app, you can directly access and play your favorite videos. Playing YouTube videos through YouTube app is very simple that even kids can do it as easy as pie. However, there are still some problems that affect the viewing process, which cause you not to play YouTube videos on your phone smoothly. If this happens, you need to find methods to get things back to normal. Press and hold Power Button along with one of the Volume buttons until you see the prompt on your screen. Swipe the “Slide to Power Off” to the right. Wait for 1 minute, and then press the Power button again to turn it on. When your iPhone is already back on, open YouTube app and check if YouTube videos won’t still play and the problem still persists. The problem might come from YouTube application itself. In this case, restarting the flawed app is a solution. Swipe up from the bottom and then pause it a second in the middle of the screen. Once you are Multitasking interface, scroll left to navigate through the app previews. Swipe up on the YouTube app preview to force close it. If this tip does not give you luck, move on to the next solution. From there, scroll down and tap on Updates. You will be taken to a screen including apps with pending updates. Find YouTube app in the list and tap on the Update button next to it to start the installation. If you want to update other apps as well, simply tap Update All button on the upper-right side. 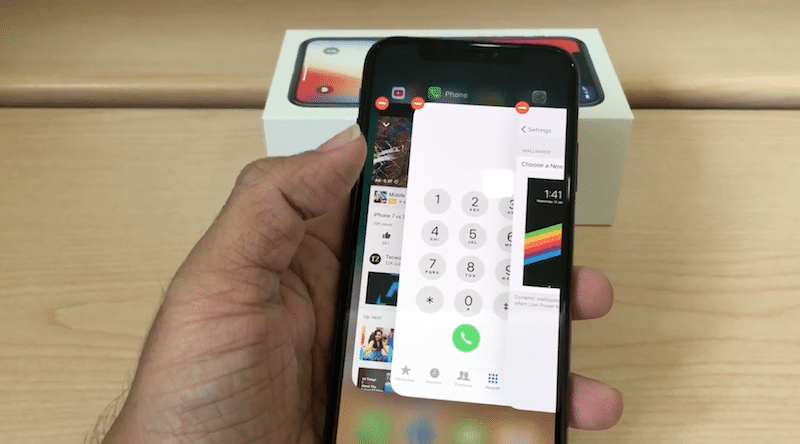 After updating YouTube app, restart your iPhone XS/XS Max and launch the YouTube app again to check if the problem is already gone. If you still can’t play any videos, then try the next method. 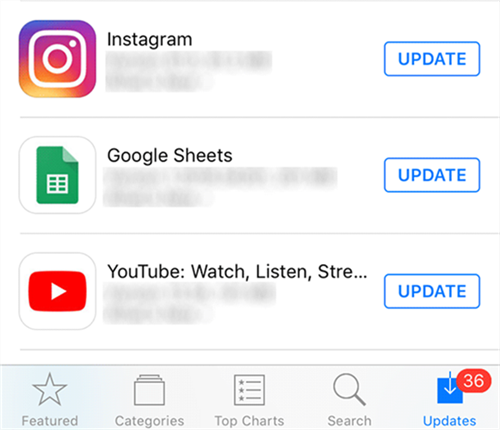 Updating your phone to the latest iOS version can also help clear out software errors that caused YouTube app to become unstable. After your iPhone XS/XS Max is connected to Wi-Fi network, simply check for new iOS updates by navigating to Settings-> General-> Software Update. You will see an update notification if there is a new iOS version available. In this case, follow the onscreen prompts to download and install the latest update. Remember that your phone must also have at least 2GB of storage space and 50% battery life to complete the process. If YouTube videos could not play after doing this procedure, you need to remove the app from your phone and then install it again. Solution 4: Delete and Reinstall YouTube app. 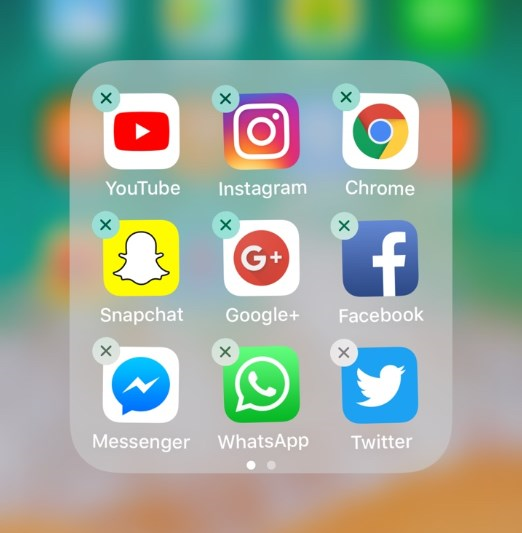 Tap on Delete or Uninstall the app. Press firmly on the YouTube app icon until it starts jiggling. Tap on the X icon at the upper-left corner of the YouTube app. Tap Delete button to confirm the action. Tap on the cloud-like icon or Get button to download the app. Next, tap on Install button next to the YouTube app. Follow the rest of the onscreen instructions to complete installing the application. Once done, restart your iPhone to refresh its memory. Then, open the app and check if YouTube videos still won’t play. Move on to the next procedure if the problem has not been fixed yet. Toggle the switch button to disable it. Wait for about 1 minute and turn it on again. Now, try watching a video from YouTube app. If nothing is changed, then you should consider connecting your phone to another Wi-Fi network and check the difference.